Starting the season on the road, the Arizona Diamondbacks left Colorado for Chicago, and a three-game series with the Cubs. The final game of the Rockies series was cancelled due to snow flurries, so the Diamondbacks headed to Chicago with a 1-1 overall record. Initally things looked pretty good in game one against the Chicago Cubs. Willie Bloomquist led off the game with a home run, and the Diamondbacks led early 1-0. From that point on, the D-backs were unable to score the rest of the game. Alfonso Soriano led off the bottom of the 3rd inning with a home run to tie the game 1-1. A walk by Joe Saunders to load the bases led to a sacrifice fly, scoring another run for the Cubs in the bottom of the 4th. Down 2-1 in the top of the 8th inning, the Diamondbacks had an opportunity to tie the score. Justin Upton led off by reaching first on a throwing error by Cubs shortstop Starlin Castro. This was followed by a single from Russell Branyon. Chris Young grounded out, but that left the D-backs with runners on 2nd and 3rd with only one out. Unfortunately Ryan Roberts struck out looking and Gerardo Parra flew out to end the inning, leaving the runners stranded. The Cubs scored two insurance runs in the bottom of the 8th inning on two doubles, which took the energy out of the Diamondbacks. The Diamondbacks were 0-8 with RISP, left 26 runners on base, and lost the first game of the series 4-1. Game two started rough for the Diamondbacks. Two walks, and a throwing error by Miguel Montero in the bottom of the 2nd inning got the Cubs an early lead 2-0. A solo home run by Ryan Roberts in the top of the 3rd was countered by a two-run homer in the bottom of the third by Tyler Colvin, and the Cubs led 4-1. Three walks by Cubs pitching helped Arizona to score 3 and tie the game in the top of the 7th inning at 4-4. Unfortunately that didn’t last long as the Cubs scored 2 in the bottom of the 7th off of two singles, a double, and two walks. The Diamondbacks tried to rally in the top of the 9th, but only came up with one run, and lost game two of the series 6-5. The Diamondbacks had only one shot left to beat the Cubs. Chris Young had quite a day, starting off with two diving catches in the bottom of the first inning to set the tone. In the top of the third, Young showcased his bat as he tripled with a shot to centerfield, and ended up scoring on a throwing error to give Arizona a 2-0 lead. A home run by Aramis Ramirez in the bottom of the 4th tied the score at 2, but it was another great defensive play by Chris Young in that inning that stopped the rally. Tyler Colvin hit a ball deep to centerfield, but Young jumped into the brick outfield wall to make the catch and rob Colvin of an extra base hit. Three doubles (one by Chris Young) in the top of the 5th, helped the Diamondbacks score 3 runs and regain the lead. 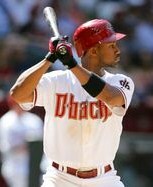 Alphonso Soriano’s third home run of the season helped cut the D-backs lead to 5-3 in the bottom of the 7th. 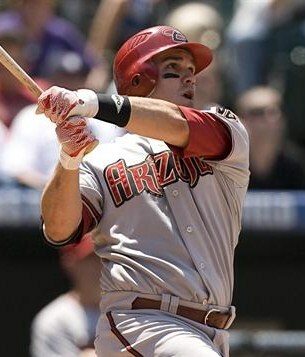 Miguel Montero homered in the top of the 8th to add another insurance run for the Diamondbacks. A couple of singles and a walk for the Cubs in the bottom of the 8th led to one run, but they were still down by 2 going into the 9th inning. JJ Putz closed the 9th inning for the Diamondbacks to record his second save of the early season, as Arizona won the last game of the 3-game series 6-4. The Arizona Diamondbacks are coming home for the first time this year, with a record of 2-3. They have a 9-game home stand, starting off with a 3-game series against the Cincinnatti Reds (5-1). They are playing aggressive baseball as they lead the National League with 8 stolen bases. Miguel Montero leads the team with a .474 batting average, with 4 other teammates averaging .300 or better. 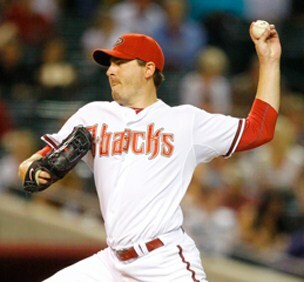 Former ASU standout Willie Bloomquist is starting off the season well as the replacement for the injured Stephen Drew. He is batting .348 with 4 RBI’s, one home run, and 5 stolen bases. It will be difficult to take him out of the lineup when Drew is ready to play, which may be this Friday. Out of the starting pitchers, only Joe Saunders has an ERA under 4.50. JJ Putz looks good so far as the closer, after only pitching 1.1 innings this spring. It’s early on in the season and the Arizona Diamondbacks have a ways to go before they are considered contenders for the National League division. We will see how they do in their first home stand. ~ by Troy Erickson Realtor on April 7, 2011.